The Wonder Loom is a product which is produced in the US by The Beadery and Toner Plastics. The inventor of the Rainbow Loom worked to produce a redesigned version of the Rainbow Loom which is made in the US. The loom itself has 39 pegs, which cannot be adjusted because it is molded from a single piece of plastic with the columns stagger with one another. The kit includes the loom, the pick tool, 600 elastics, and 25 clips. 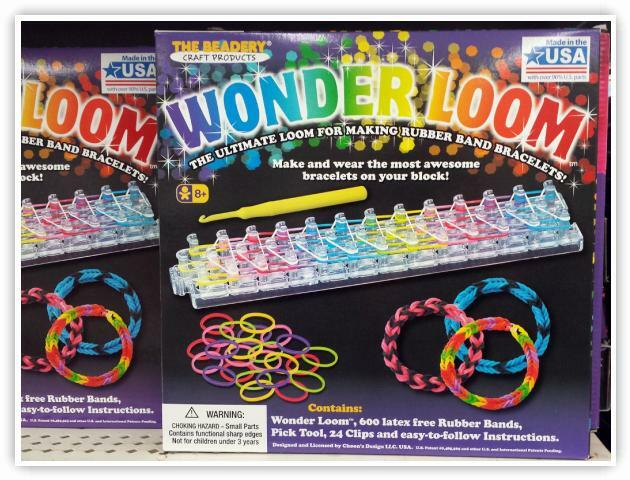 The Wonder Loom is available through Wal-Mart.